Wood kitchen cabinets stand for their endless beauty and characteristics to highlight the sense of modern era, in which people start using other materials like stainless and glass. 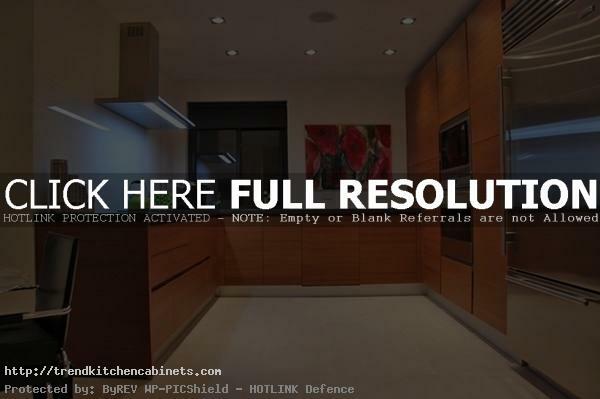 However, no matter time you are living with, wood still becomes a good choice for your best kitchen cabinet. 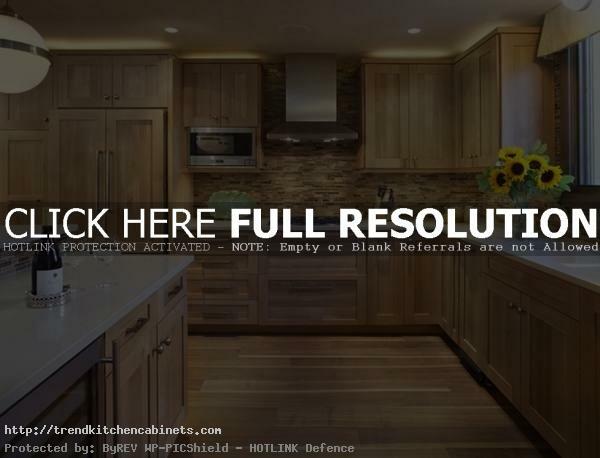 Wood kitchen cabinets bring a nuance of a good life, in which it is connected to the earth, where the trees live and share many kinds of benefit. Similar to what you have in your kitchen, the hardwood will bring certain uniqueness and elegant touch. Besides, it is also strong. No wonder if it will be at the same strong and charm since in your childhood until you are grown up. Yet, do you know how wood cabinet looks so stunning and beautiful? The secret lies in its nature from the mineral supplies and knots that turn the wood to be gorgeous to see. Yet, humidity condition, which is very significant to have in wood makes you keep your cabinet’s humidity to keep its level above 20% while the temperature is below 20 degrees and over 35 % while in the above 20 degrees temperature. 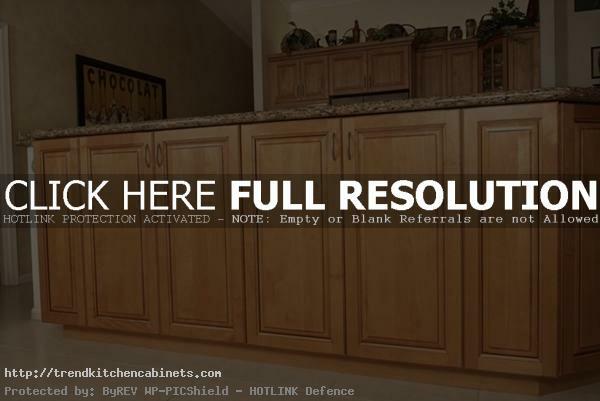 In choosing your wood kitchen cabinet, you need to know wood types. First is Alder. 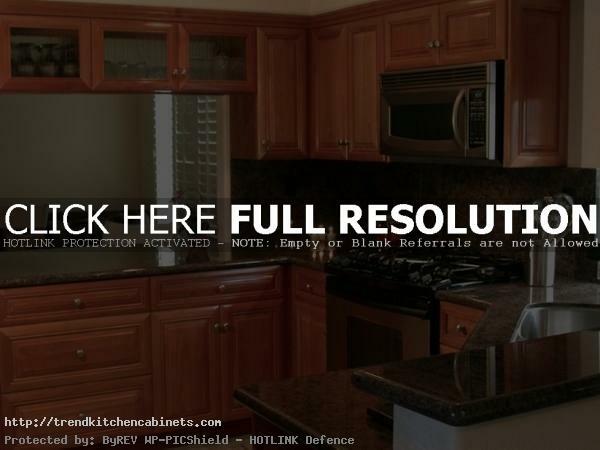 This wood appears in red to reddish brown which is very soft, softer than maple or cherry. This wood will stable the surface in the finishing or stains. Cherry is the second type. Its uniqueness is the older the wood the more beautiful it will be with its blonde to dark deep brown, perfect for dark kitchen cabinets. The third wood named maple. This wood fits with every styles and finishing. Creamy white, soft reddish brown will blend with the grain pattern and the smoothness of the wood. The last one is oak. Oak is known for its strength, open grain pattern, appear in salmon red and deep darken cinnamon. This is a hardwood type and very perfectly combined with a traditional style, casual or even rustic of wood kitchen cabinets.